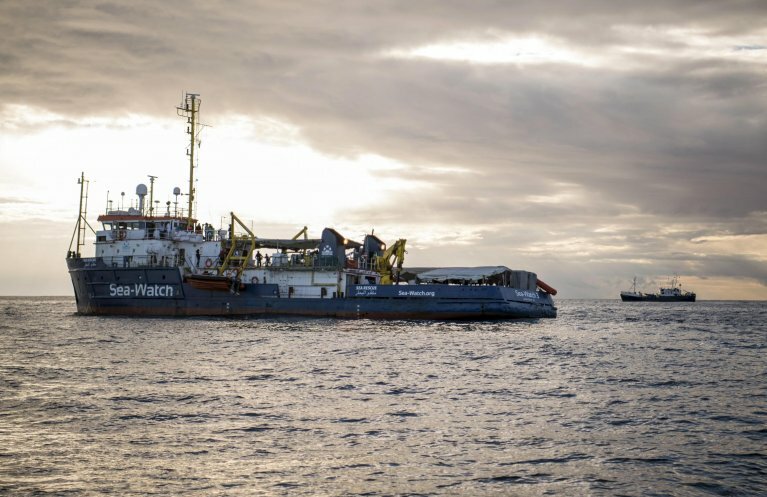 Will there be stormy seas ahead for the future of 47 migrants aboard Sea Watch 3? 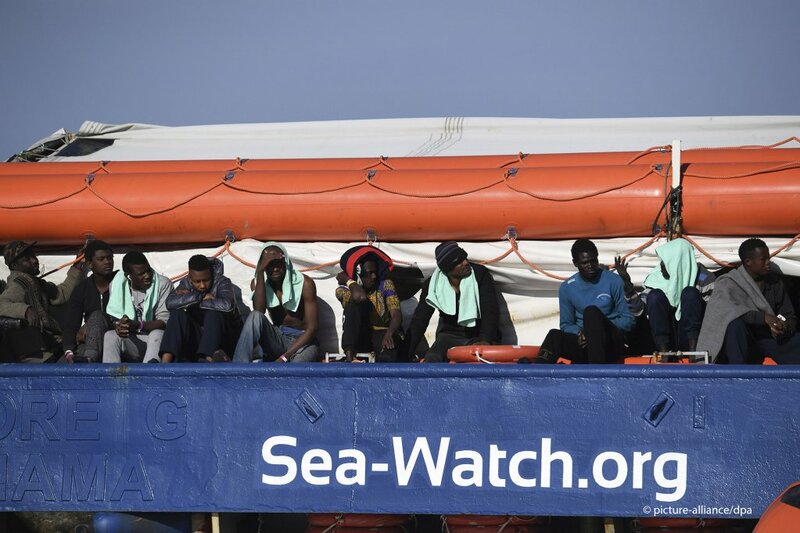 The private rescue boat "Sea Watch 3" picked up 47 people on January 19 in Libyan waters. Since then, it has been trying to obtain entry to a safe port in Europe. Italy’s Interior Minister Matteo Salvini repeats that Italian ports remain closed. Meanwhile, the boat remains waiting at sea. There’s a stand-off taking place off the coast of Sicily. All weekend, the rescue boat Sea Watch 3 run by German NGO Sea Watch has been anchored about two kilometers from land. The boat sought shelter from a storm on Friday, reporting waves of seven meters high. 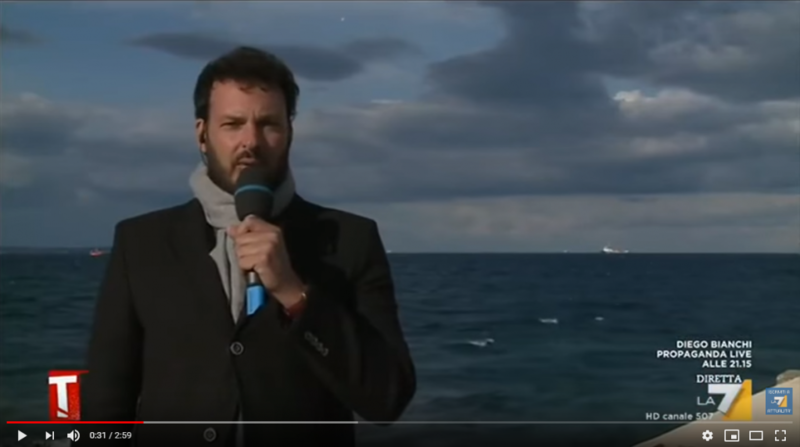 The mayor of Siracusa in south-east Sicily, Francesco Italia, declared that he was happy to open his port and in fact allowed the Sea Watch 3 to shelter at anchor from the storm. “I think it is the moral duty of every person to come to the aid of other humans in difficulty, without thinking about where they might come from,” Francesco Italia told InfoMigrants. However, the boat still has no permission to dock. 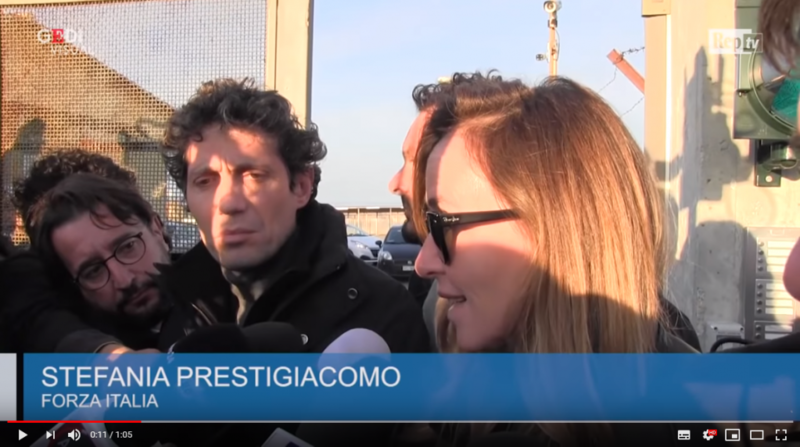 Italia says that’s because he is still waiting for an answer to the request he sent to the Ministry of Infrastructure and Transport which controls the Coast Guard and Harbor Authorities in Italy. The minister of Transport and Infrastructure is Danilo Toninelli from the populist Five Star Movement (M5S). Despite the government’s hard line, the mayor of Siracusa insists that there is not an actual law which has closed the ports in Italy. There is however, an order from the harbor authorities as of Sunday January 27. The order forbids any boat from approaching the Sea Watch and stops the Sea Watch approaching land. Now, says Italia, he can no longer go and visit the ship, as he did on Sunday with a group of politicians from various parties. When he was on board, he was able to see conditions for himself. He thinks Salvini’s attempts to show that all is fine, is missing the point: “It doesn’t matter what the weather is like, or how heavy the seas are, we are talking about human beings in difficult conditions.” Yet for now, his hand are tied. Those human beings in difficult conditions told Italia and the group their stories. 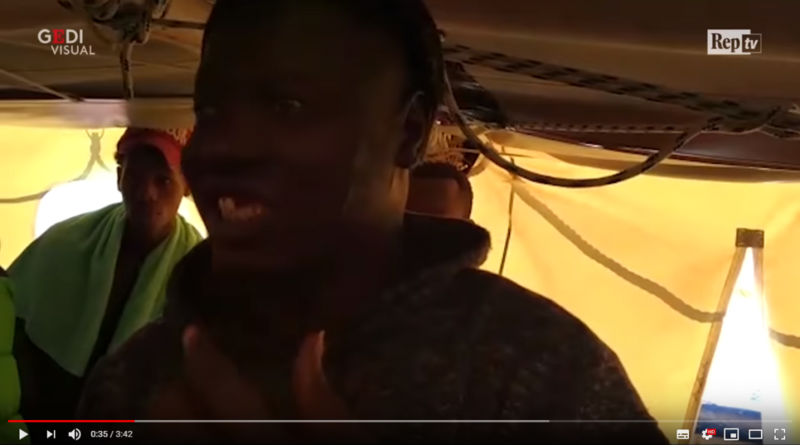 One Gambian man spoke to Italian TV cameras showing the scars across his stomach, his face and a bloody hole where one of his front teeth should be which he said he sustained during three separate incarcerations in Libya. Italia was on board the ship with the center-right politician Stefania Prestigiacomo, a native of Siracusa. She’s a politician with Silvio Berlusconi’s “People of Freedom” party (PdL) and a former minister. Prestigiacomo has also called for immediate disembarkation too: “We all agree that Europe needs to be involved. These people are at the end of their tethers. They all sleep together in one area. There is only one toilet which can’t just open into the sea.” She said her heart was hurting after she had seen the conditions which they were enduring. Toninelli adds that lives should be saved and underlines that Italy has saved thousands of lives over the years. But he wants everyone sailing in the Mediterranean to respect the new European accords which means that anyone picked up in the Libyan SAR would automatically be sent back to Libya. Toninelli thinks the solution to really save lives would be to prevent anyone setting sail from Libya in the first place. However, Italia concedes that there are “certain values which are above politics.” He too hopes that Europe will come and break the deadlock, perhaps offering to take some of the people aboard and not leave Italy alone to shoulder this burden. 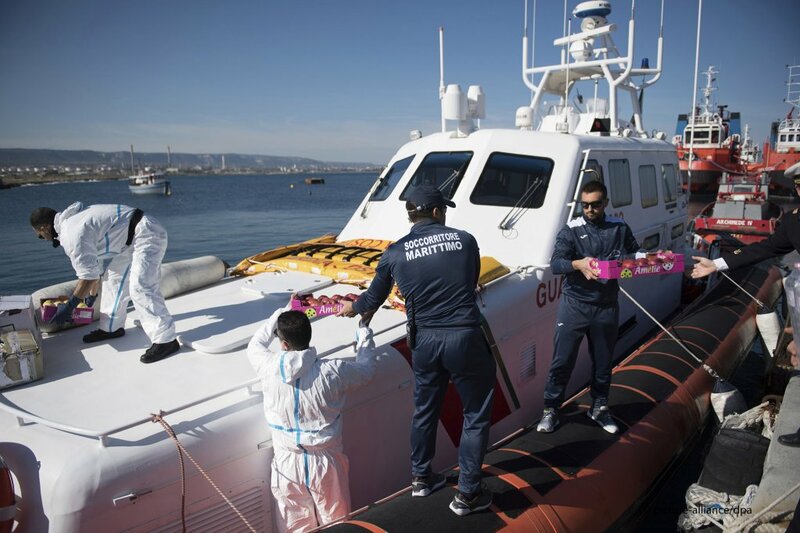 In the meantime, the Italian coastguard has sent a small supply boat with bread, fruit and donated shoes, socks and clothes from concerned Italians who have watched as the case unfolds just a few miles from their shores. “The majority of Siracusans are behind me,” declares Italia, who feels frustrated watching this case unfold.